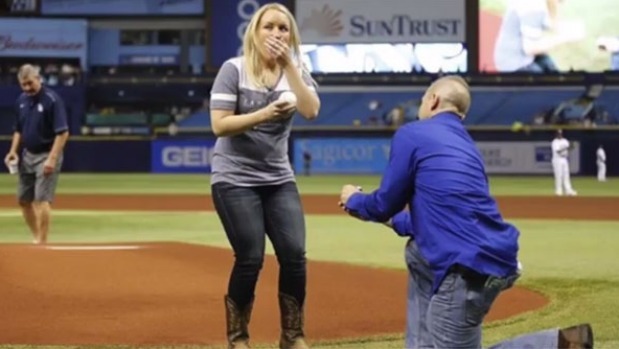 In 2015, Dohme thought she was about to carry out the the ceremonial first pitch at a Tampa Bay Rays game but instead she was surprised by Hill who dropped to his knee to propose in front of 10,000 fans. Dohme has previously described their relationship to the Tampa Bay Times. "He's the one I've been waiting for. My fairy tale." To even to have been able to get to this point was a miracle for Dohme and Hill. Due to her injuries, and the fact she was stabbed over 30 times in the face, neck, hands and arms, Dohme was unsurprisingly left with devastating injuries. Dohme had told CBS News, that said she had been lying on the road outside her home and hemorrhaging severely from cut arteries in her neck when the first responders arrived. "I was airlifted to the hospital where I flat-lined four times, received 12 units of blood, suffered a stroke in my cerebellum, had a fractured skull, nose, and jaw with missing teeth, facial paralysis, stabbed larynx, and was severely beaten," Dohme said. "It's a miracle I am still alive today - even the doctors say so." Over the ten month recovery period she came close to death on numerous occasions due to complications with her injuries but she shocked doctors as she went on to make a quite remarkable recovery. She opened up about her ordeal and Hill was among those in the listening group. Transfixed, and inspired, Hill invited her for dinner at the firehouse where he worked. He wanted her to meet the crew at the house. "I was extremely giddy because I was having dinner with all the men who saved my life," Dohme told Fox 13. "The more I learned about Cameron [Hil], the more I realised that we have so much in common. And this feeling that I was feeling was not just because he was someone who had saved me," Dohme said. "I really had feelings for this man." The feeling was mutual. Hill stayed by her side through countless surgeries and attended all speech and physical therapy appointments that she had. And when her ex boyfriend was sentenced to life without parole, he accompanied her to the courtroom and held her hand through the entire process. 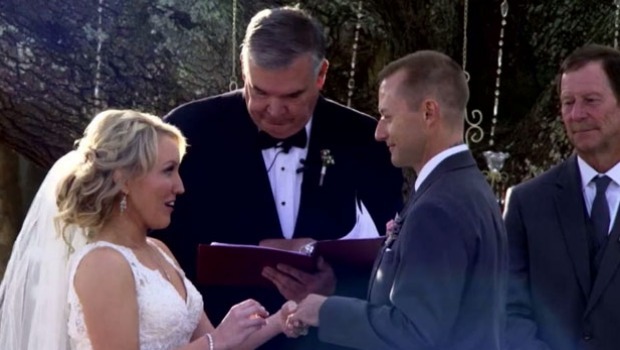 A wedding goal of Dohme's was to be able to smile at the wedding as one of the wounds to her face had left her with a damaged facial nerve, giving her a lopsided smile - something she hated. 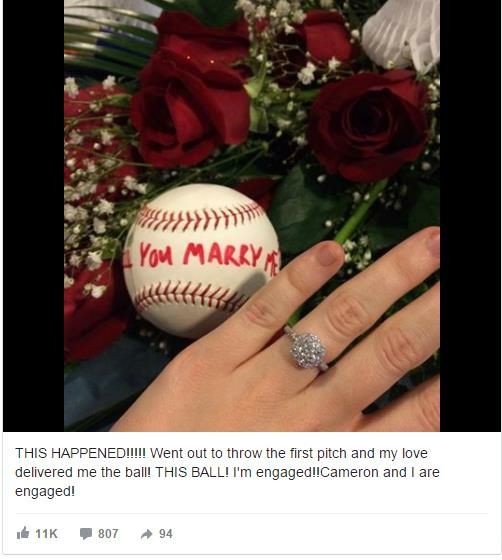 So shortly after getting proposed she underwent a groundbreaking eight-hour surgery to restore her smile. The process involved taking muscles from Dohme's innter thigh and transplanting them to her face starting at the edge of her mouth. The entire process was a slow one - it took 18 months for for the implanted muscle and nerves to re-generate in Dohme's face, but it was a success. Dohme's dream had come true. March 4th, 2017, she walked down the aisle with a beaming smile. "Education is an ornament in prosperity and a refuge in adversity." "A prosperous state makes a secure Christian, but adversity makes him Consider." 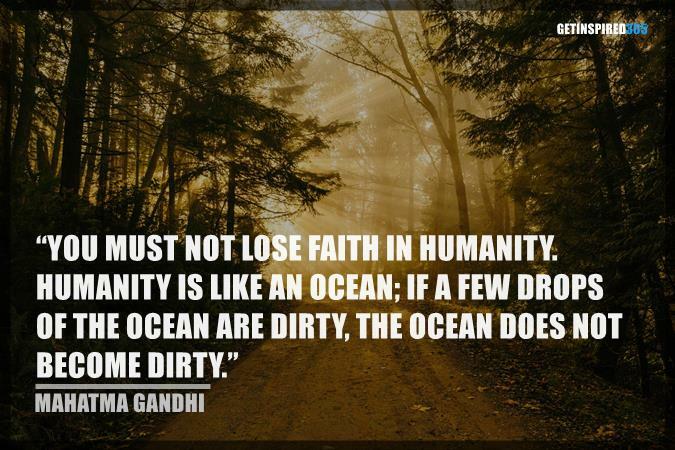 "Fresh activity is the only means of overcoming adversity." "Fire is the test of gold; adversity, of strong men." "Adversity reveals genius, prosperity conceals it." "In adversity remember to keep an even mind." "Adversity makes men, and prosperity makes monsters." "For gold is tried in the fire and acceptable men in the furnace of adversity." Thanks to Sean McCambridge for the tubular plugin and to Adam Whitcroft for the Batch Icon set.